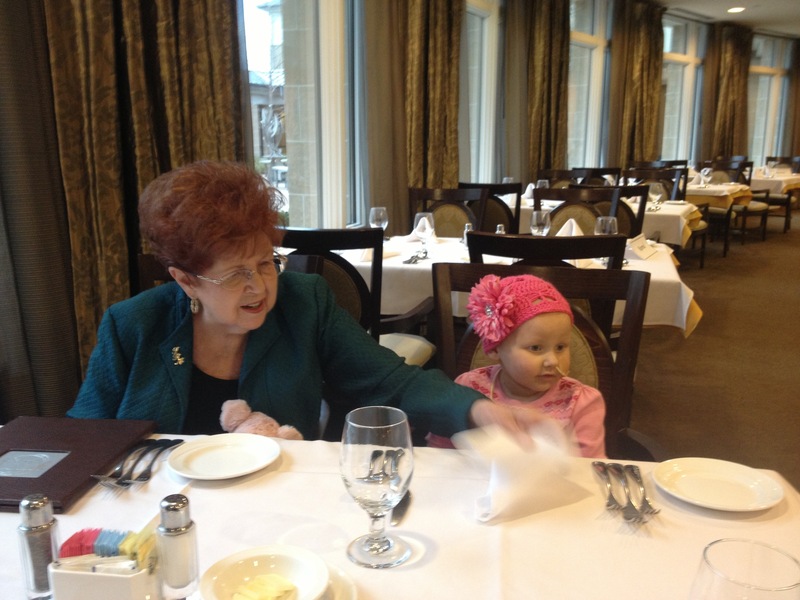 Phoebe had a wonderful time spending the night with her great-grandmother last night. We’re going this morning to spend the week in hospital for her third to last round of chemo. This is a precious picture of Phoebe and her Great Grandma 🙂 Blessings to all! Wow down to three more rounds. Praying they all go smoothly. Great pic with her G Grandma. Love that she is able to spend time with her Great-Grandma. I’m sure her Great Grandma cherished the time more than ever! Praying that all goes EXTREMELY well over the next few treatments and that Phoebe will come out on the other side of this event a happy, healthy little girl. Always in our prayers! Nice!! Praying for you Phoebe! You are on the stretch home I know you will finish strong and this cancer will be gone. Thank you for posting Phoebe’s progress thus far. I’ve been following her story since you first started posting. How I came to know about Phoebe’s story was through your Grandfather Zig Ziglar (May he Rest in Peace). I was receiving emails through his website after having the pleasure of listening to him at one of Brian Buffini’s Mastermind conferences in San Diego. He sent out a notice about a year ago now letting people know how seriously ill his little Great Granddaughter was. Amey, I am praying for you and Nathan, all the way from Canada( near Niagara Falls), that after the next round of Chemo, Phoebe can live a healthy and active life as every little girl and boy should. I’ve wanted to post for some time and I am sure you must get a ton of email. Please take care and I hope you have a great time in Colorado and I hope some great memories are created with your family. **By the way, that is a beautiful picture of your grandmother (The red head, as your grandfather would refer to her J ).